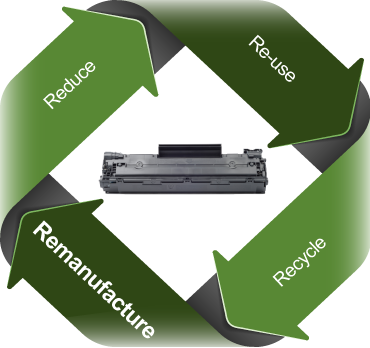 Reduce, Reuse and Recycle - The three R's are a baseline for any business working toward improving the environment. Canadian Cartridge Services Inc. introduces the 4th R – REMANUFACTURE. We believe high quality and outstanding customer service is more important than quantity and price. We will help you save your money and resources and also all the while helping to protect the environment in the bigger picture. Make the most sensible choice for Your Business and the Environment!